Hendro S. Gondokusumo is the founder of Intiland Development. He resumed his position as President Director and Chief Executive Officer of Intiland since June 22, 2011. Previously he was the Vice President Commissioner of Intiland from 2007 to 2011. His 40 years of invaluable experience in the property business comprises of him being the President Director of the Company for about 24 years between 1983 and 2007, during which time he was instrumental in growing the Company to its current status as a well-known developer in Indonesia and also taking the Company to go public, listed on the Indonesian Stock Exchange. Additionally, Mr. Gondokusumo was the Chairman of the Jakarta Property Club and actively involved in several real estate organizations such as the International Real Estate Federation (FIABCI) and the Indonesian Real Estate Association (REI). Last but not least, Mr. Gondokusumo is also a Patron of Philharmonic Society of Atmajaya Catholic University, Jakarta. In 2008, he was awarded a lifetime achievement award from the Ministry of Public Housing, Property & Bank Magazine, Property and Financial Journalist Association. Ricky is Intiland Development's CFO. He was formerly the General Manager of Intiland's Audit Department. He started his career as an auditor in Prasetio Utomo Public Accountant. Ricky graduated from the University of Tarumanagara majoring in accounting. Ricky will provide oversight of Whiz Hotel's finances. Utama is an Executive Director of Intiland Development, in charge of Business Development. He graduated from Purdue University Indiana, USA, majoring in civil engineering. His experiences in the property business began when he joined McCarthy Construction and CCS Planning & Engineering in San Fransisco as its engineer. He served as a Director at Leads Global Properties in Toronto and PT Graha Adikarsa. 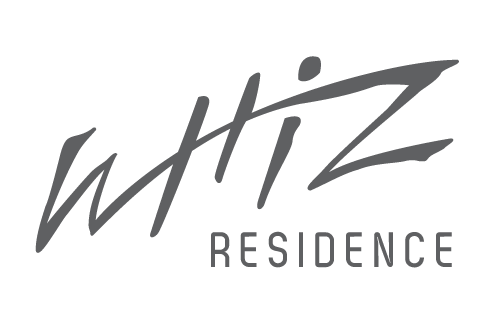 In Whiz Hotel, he plays a key role of developing the chain's modern concept and will be involved in setting up its IT framework.